Magento 2 is the new version of the popular eCommerce software and it has plenty of new features. To start with there are many differences between Magento 1.x and the recently released Magento 2. Many changes were made to improve the performance and usability of Magento. 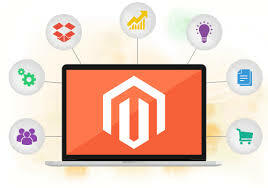 Magento 2 is optimized for PHP 7, MYSQL 5.6 and Apache 2.4, although it is also backward compatible with the older versions of respective technologies. 1. There is no limit on class types in Magento 2. Hence it is possible to create any type of class and class structure that is required. 2. The Modules can have dependencies like in the previous version, however, with Magento 2, it is possible to have external dependencies as well. 3. Magento 2 code is better organized and the modules are more granular and independent. Magento 2 has the new form of customization called Plug-ins that allows performing changes before or after a method on a class is called. 4. Observers and Rewrites are still possible with Magento 2 with minor changes. –Database implementation with ORM: The Magento 2 ORM structure is a bit simpler than the Magento 1 ORM Structure. There is a big effort made in decreasing the complexity when creating it. Thus it is now much easier to setup the ORM structure and there is also lesser configuration involved. –Scalability: With Magento 2, the scalability has greatly improved. The full page caching that has been built into the community edition ensures faster-loading speed. This is mainly due to the reduction in the number of disk reads and network requests. –Performance: Magento 2 is not simply another version of the eCommerce software with a few new features. Magento 2 is a more optimized version and offers a big performance upgrade over the previous version. It offers a more flexible architecture that is powered by a next-generation architecture. It happens to be more than 50% faster when it comes to page loading as well as loading product catalog and even the checkout process. Furthermore, the maintenance and upgrade are also more streamlined. Alakmalak is a Web Development firm in India. They have been around for a while and are involved in Magento Web Development. In addition to this also offer Magento Module Development and Magento Maintenance and Support. They develop websites using several other technologies as well.